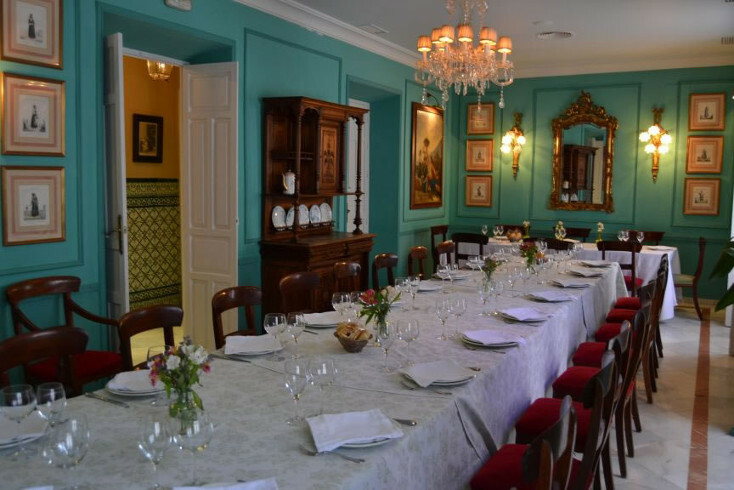 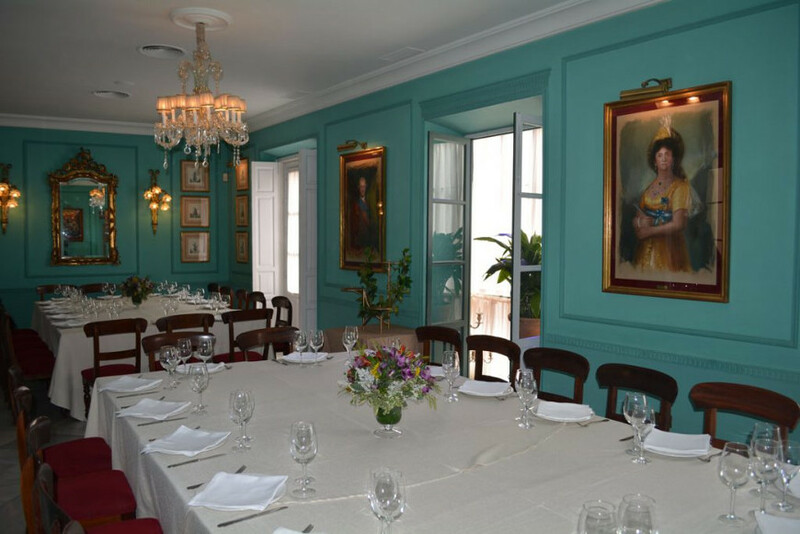 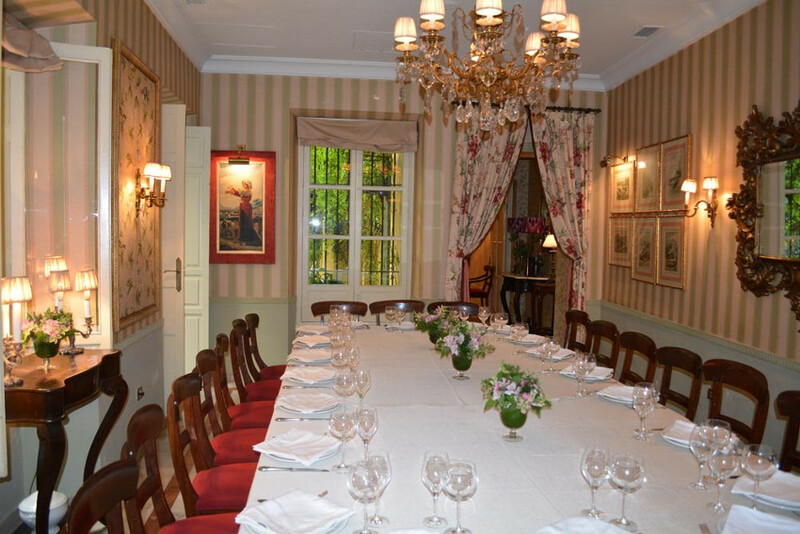 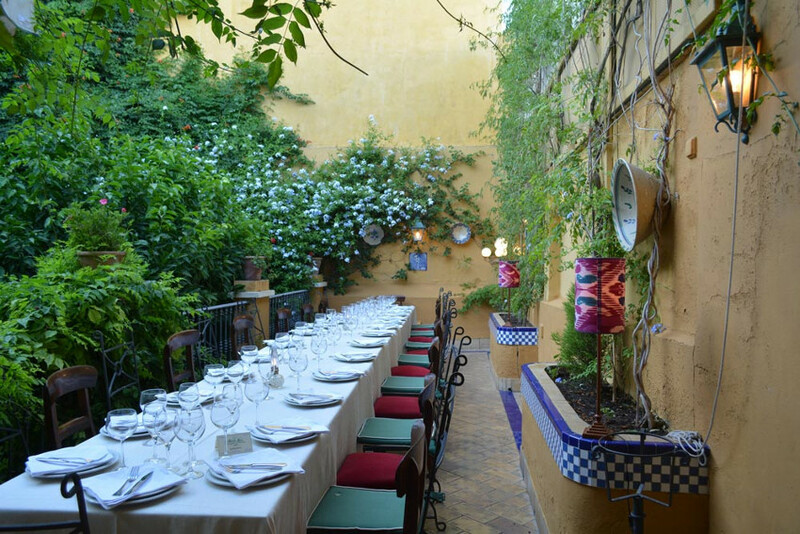 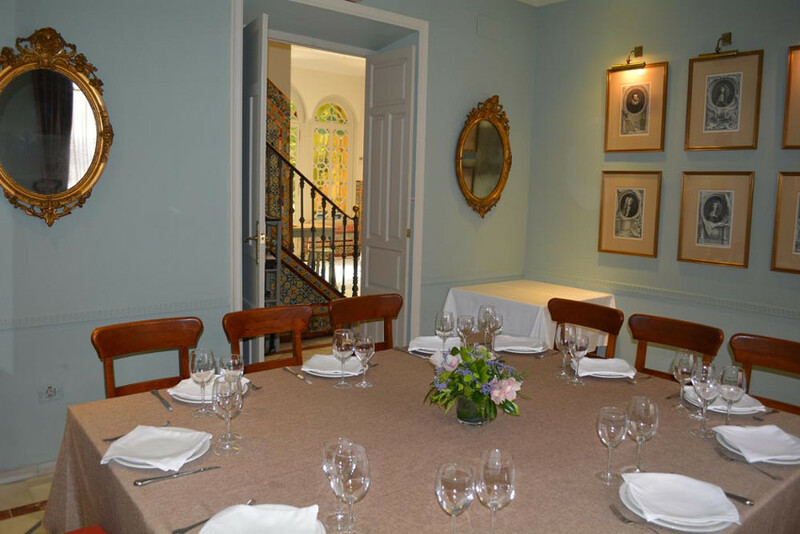 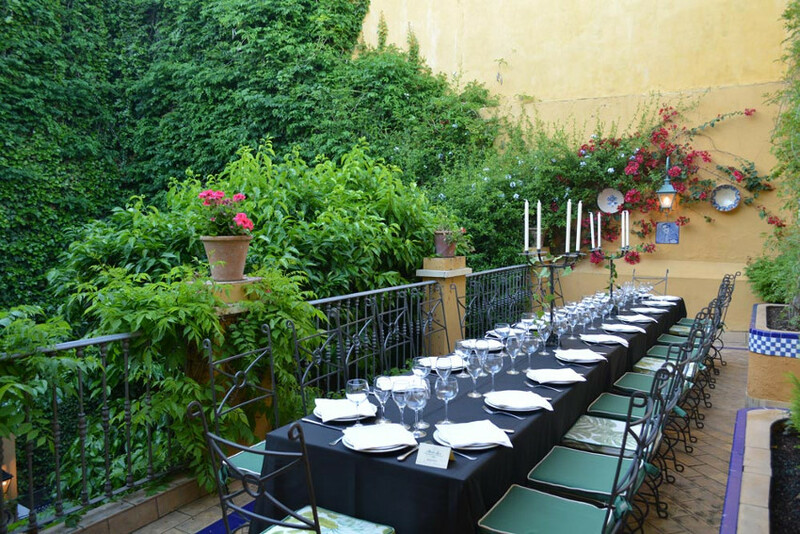 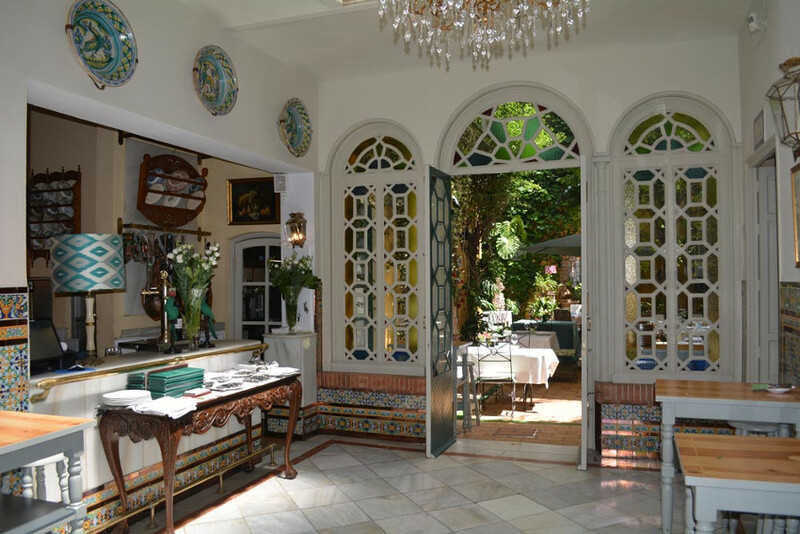 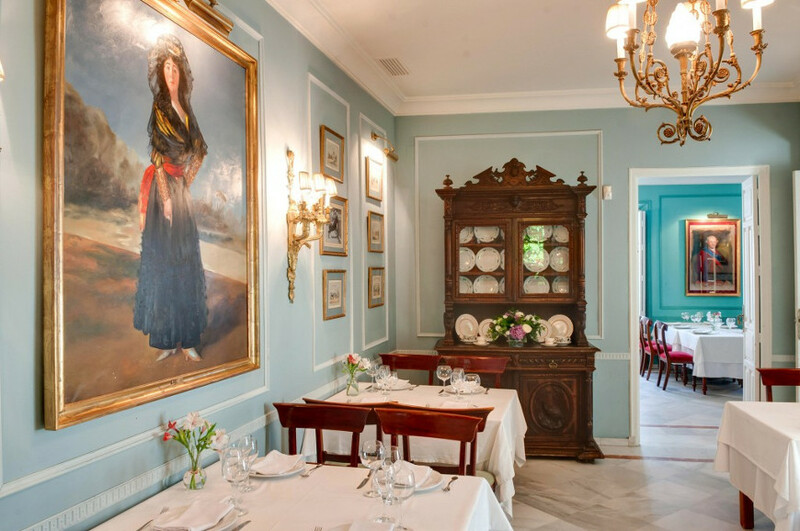 In the heart of Seville, in the heart of the district of San Lorenzo, stands this manor house from the end of the 19th century, to welcome one of the referents of Sevillian gastronomy. 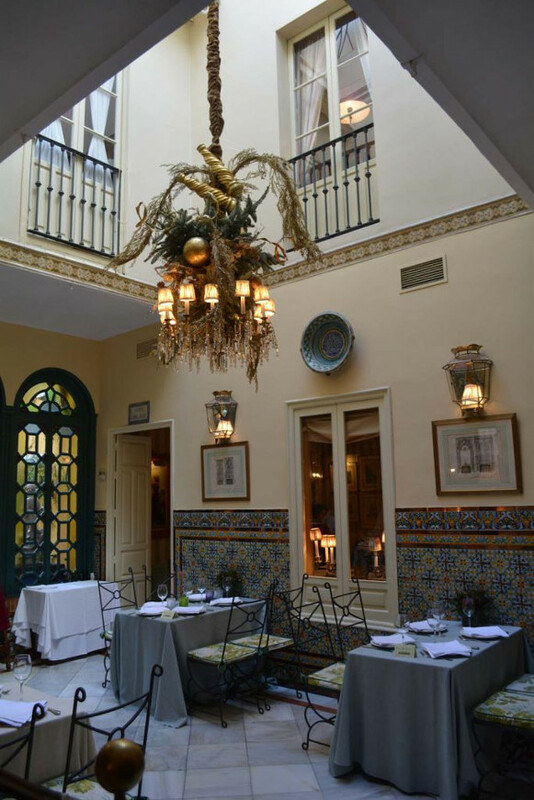 Casa Manolo León, was inaugurated in November 1999, by the brothers Agustín and Manolo León. 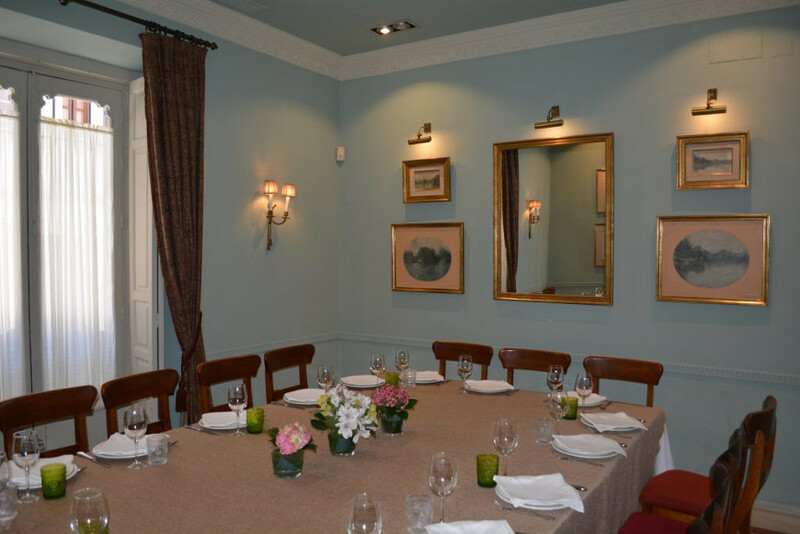 It is a multifunctional space, distributed in 2 floors with 4 rooms with different decoration, according to the location in which it is framed. 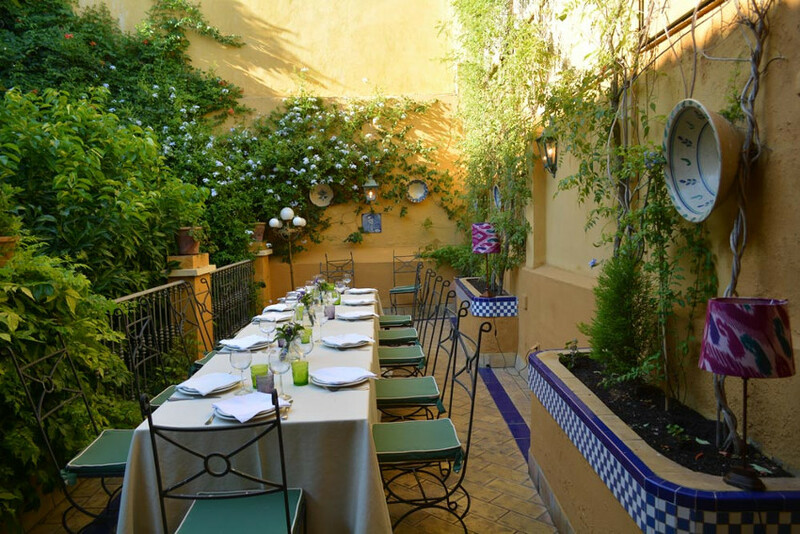 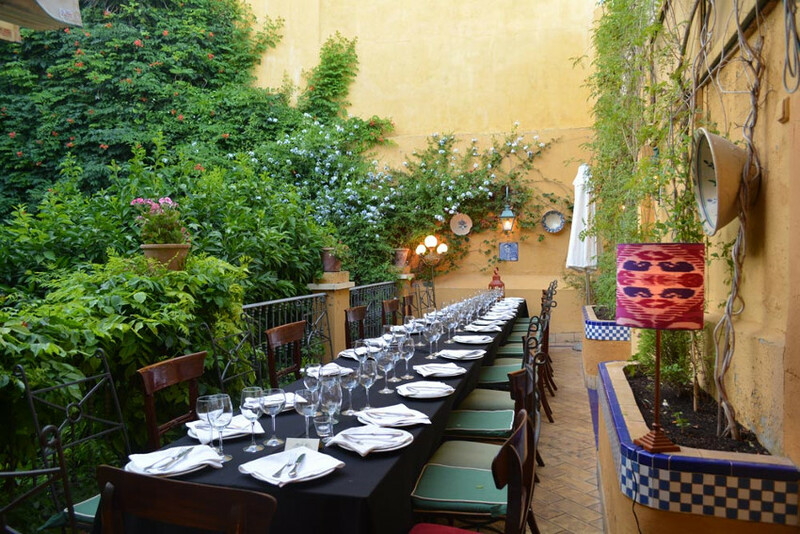 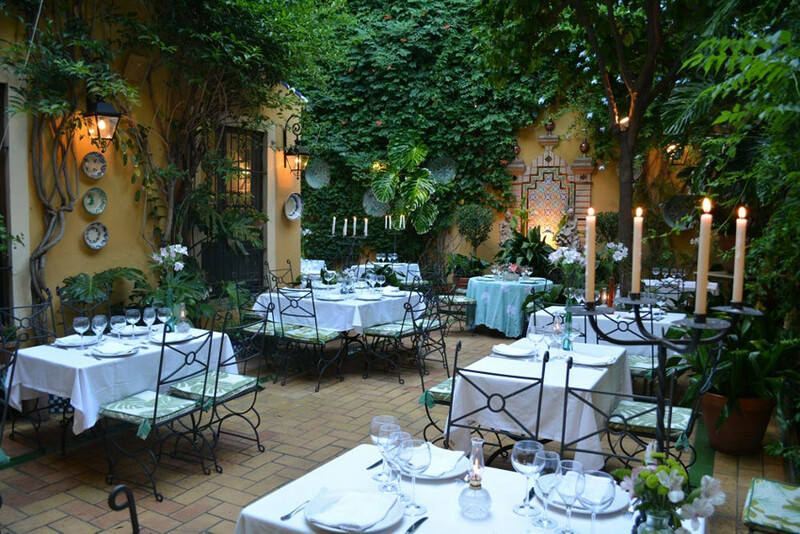 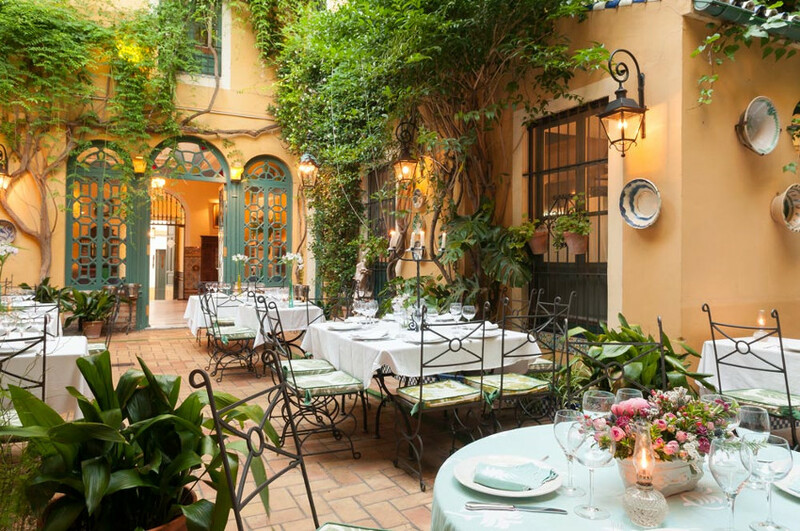 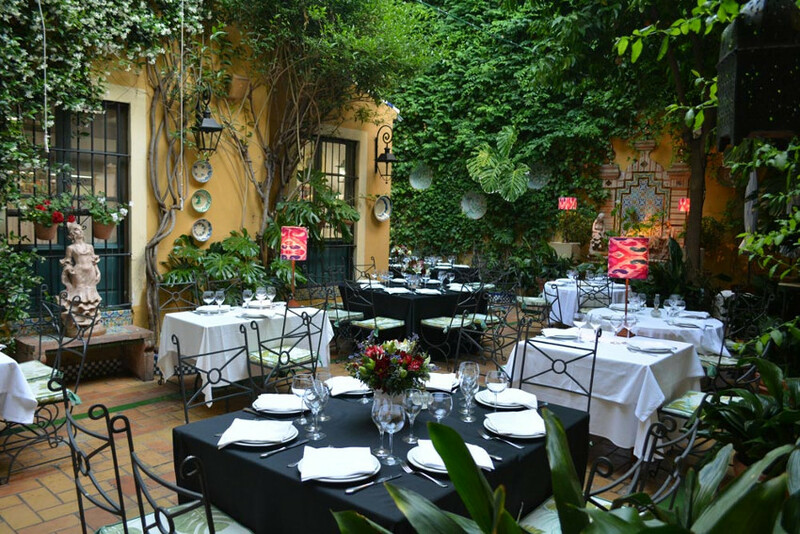 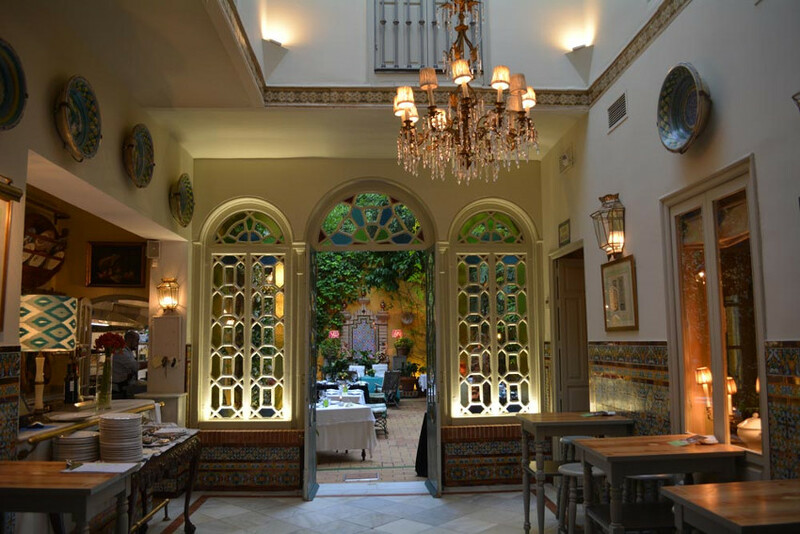 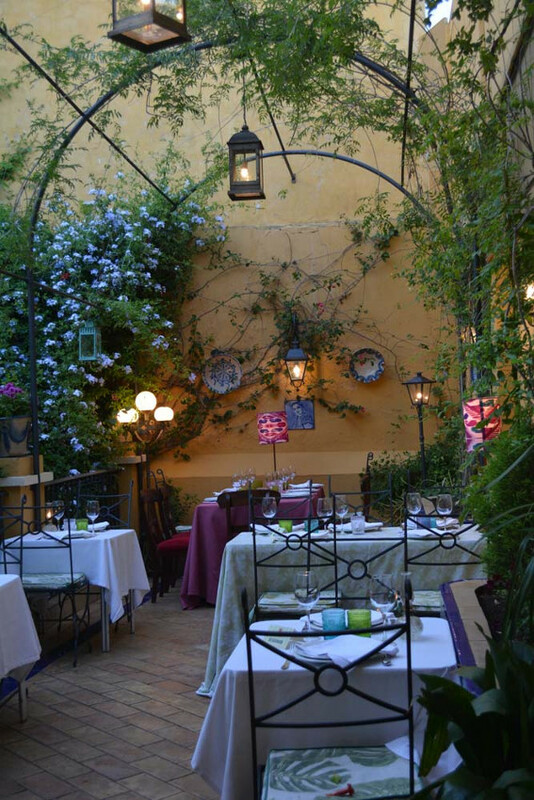 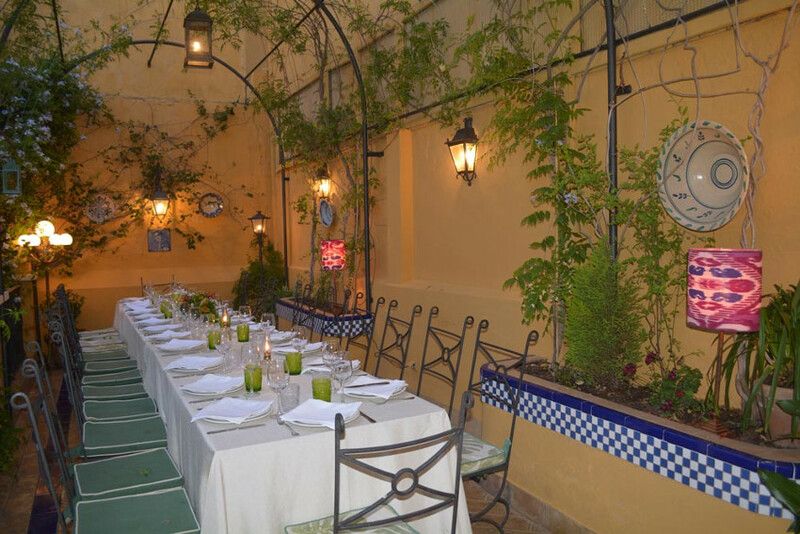 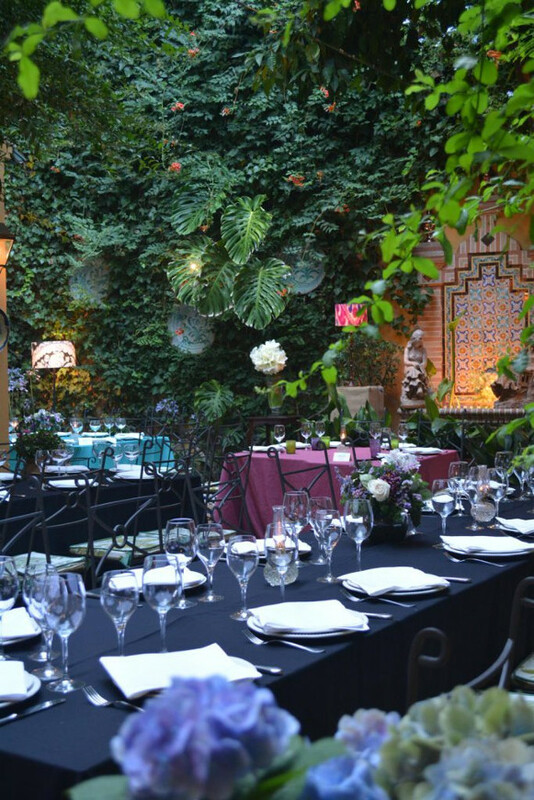 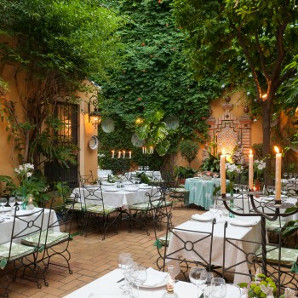 A special place to enjoy the Sevillian night in its outdoor spaces, giving it a flavor that makes it a unique and cozy place to enjoy an excellent evening. 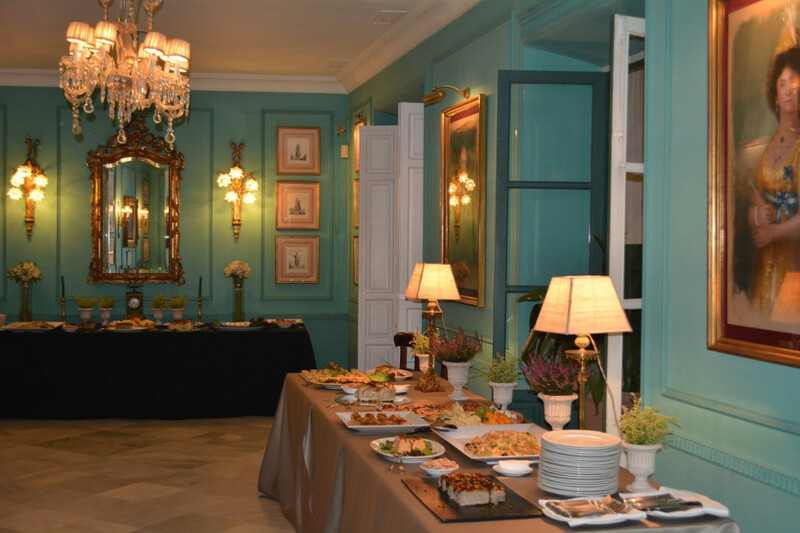 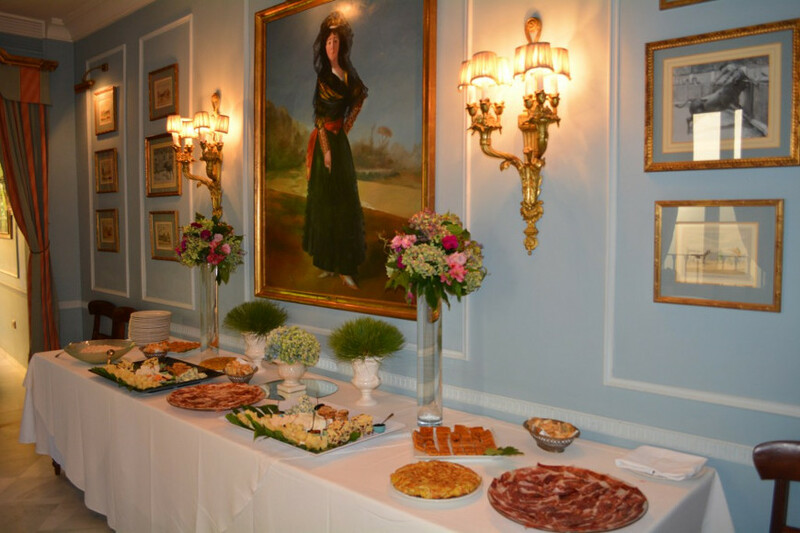 We offer the visitor the traditional Andalusian cuisine with an avant-garde touch, as well as the possibility of organizing private events in part of it or in exclusivity. 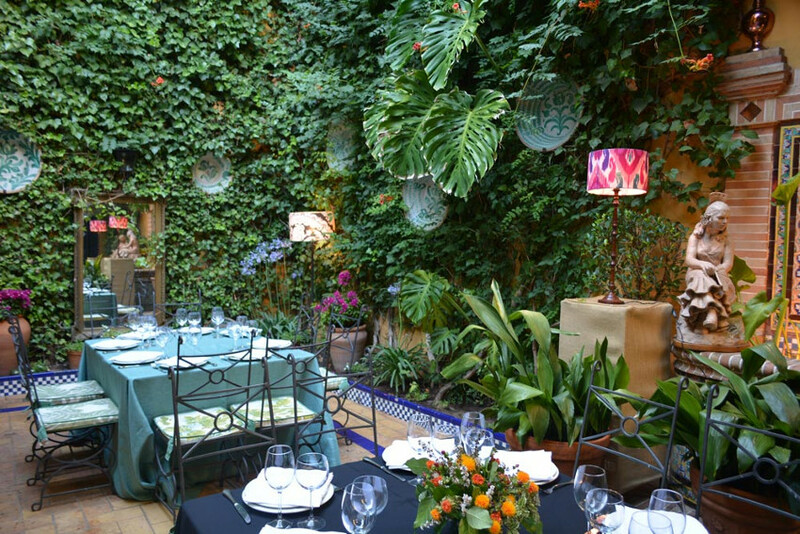 Its different spaces allow that with the maximum privacy and privacy can be realized several events at the same time. 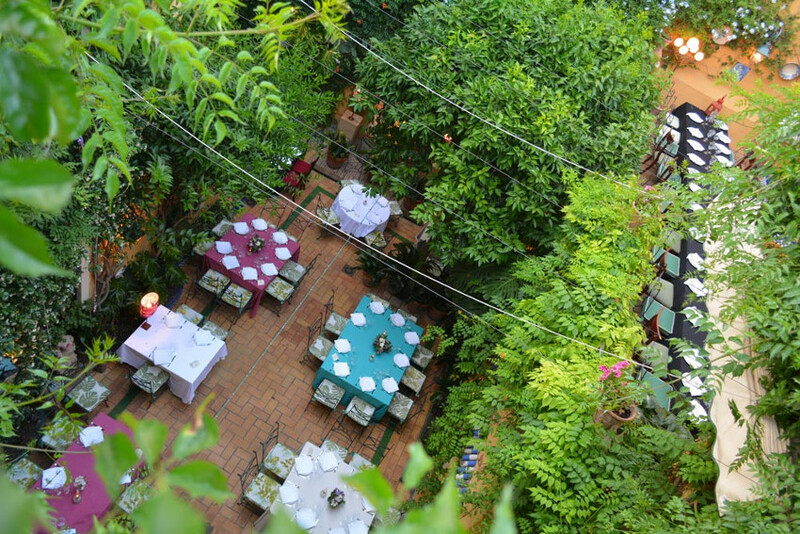 We have a parking area for about 25 vehicles, with an extraordinary location. 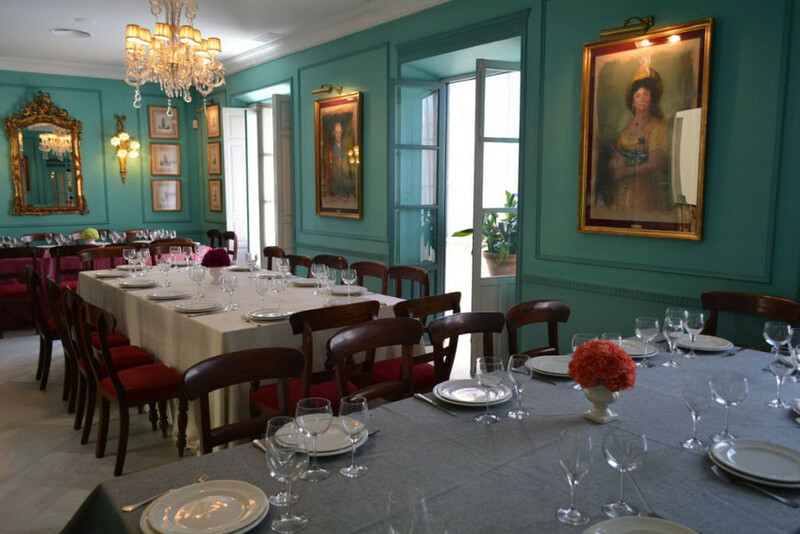 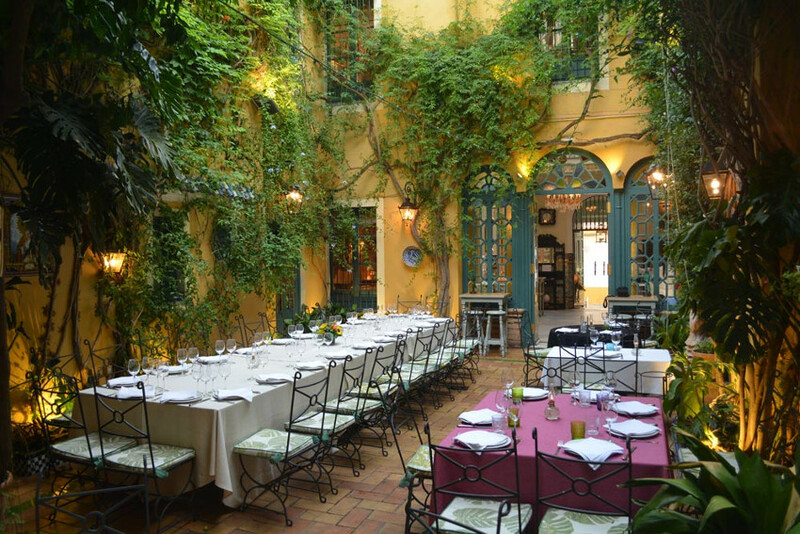 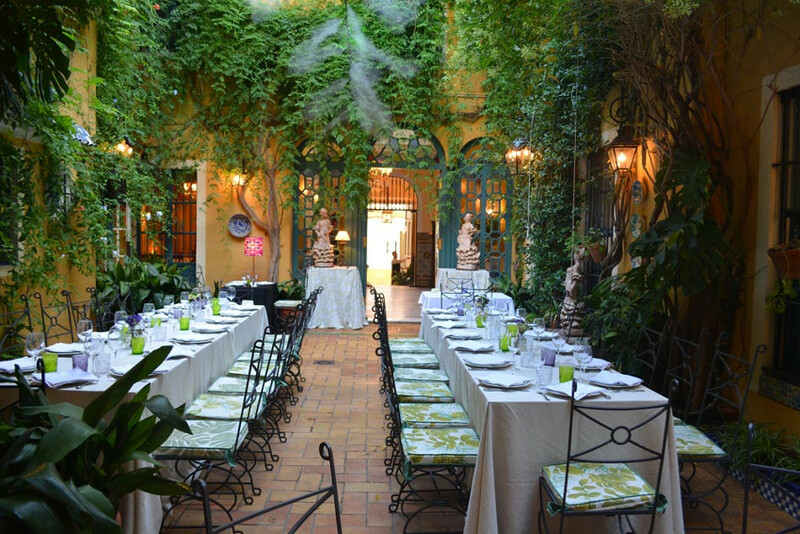 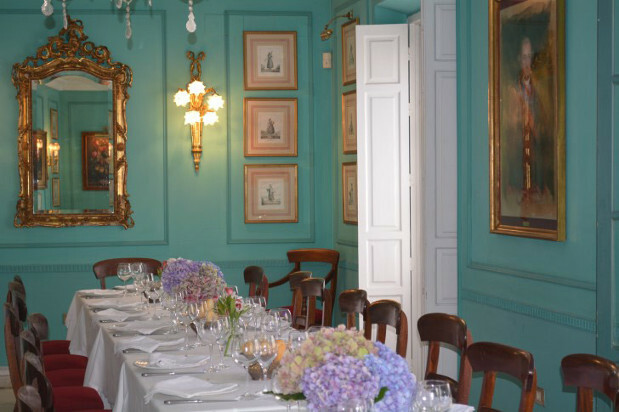 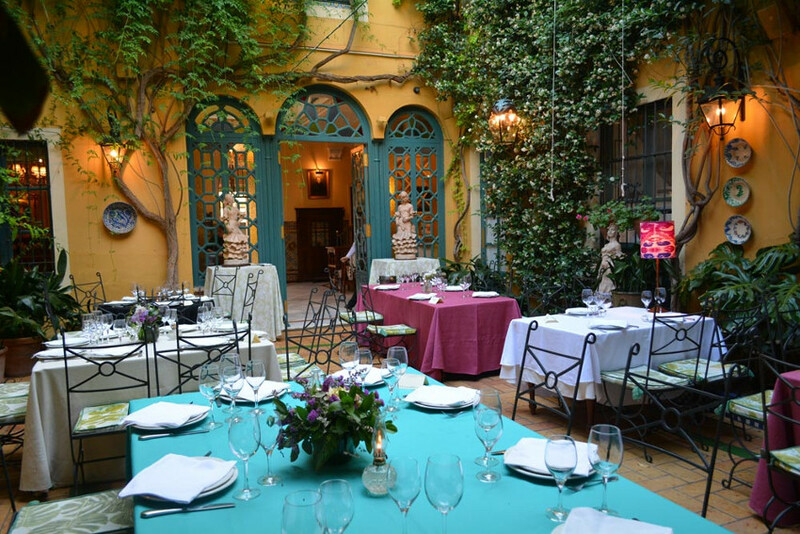 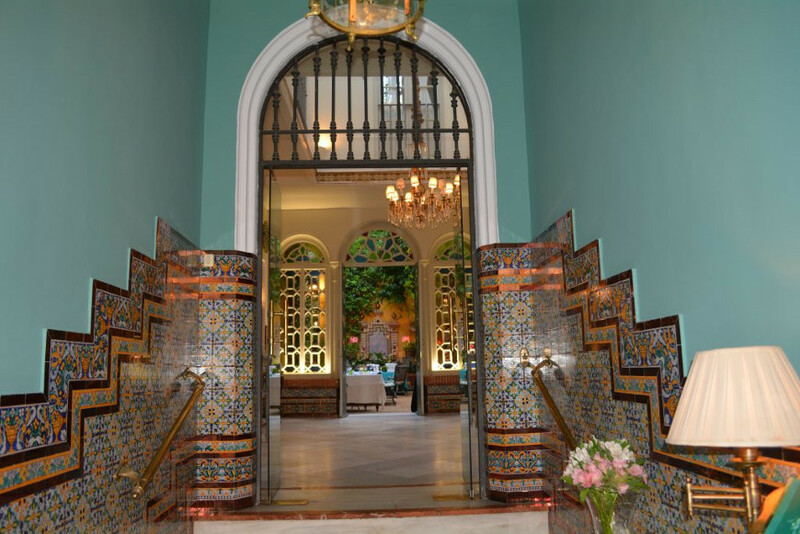 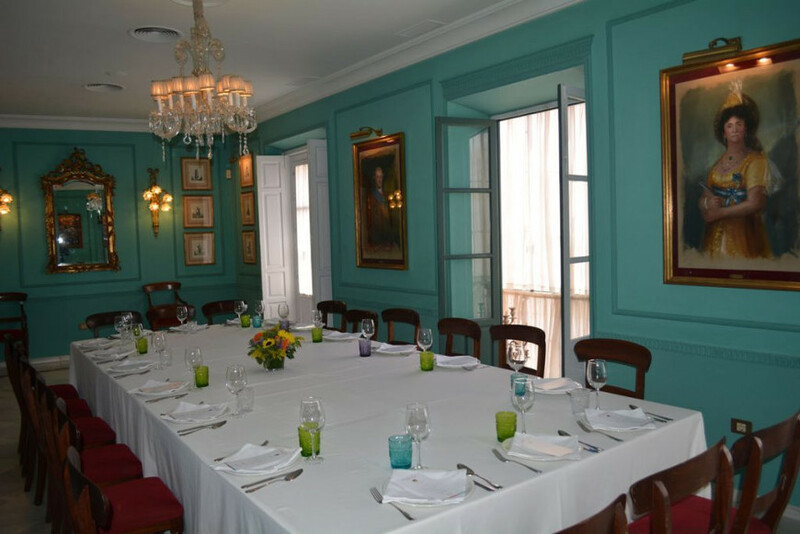 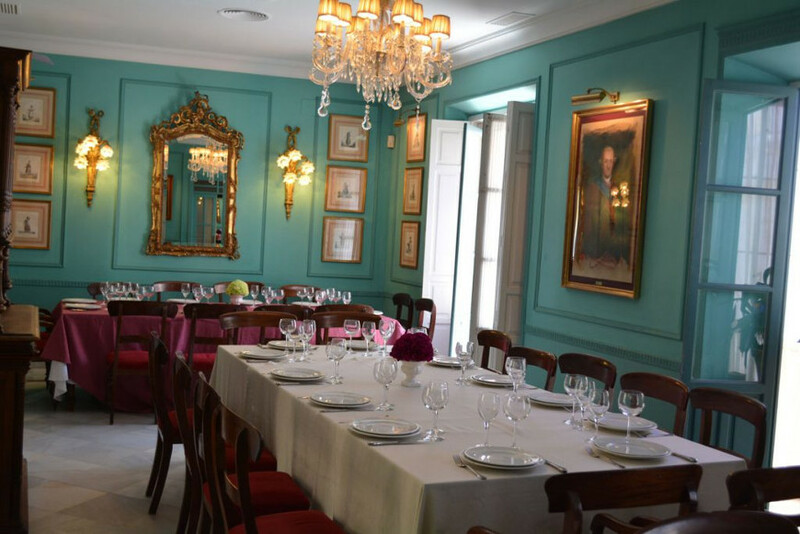 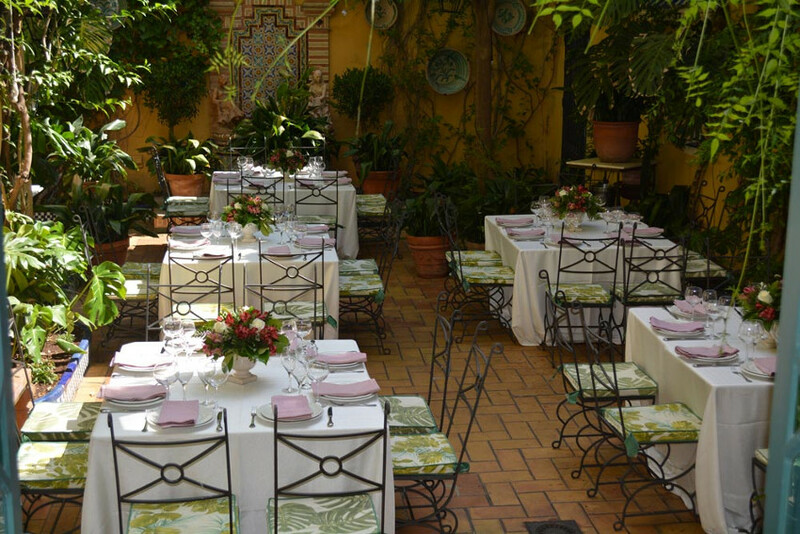 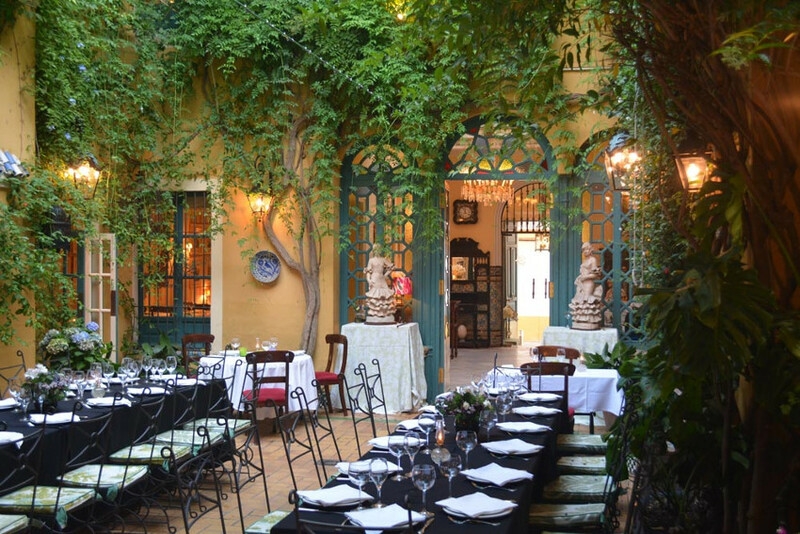 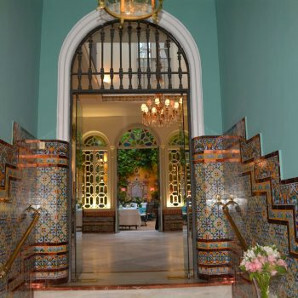 Casa Manolo León has hosted weddings of up to 150 diners Buffet – Cocktail and events of 190 seated diners, maintaining the concept of “everything to share” that Manolo León conceived. 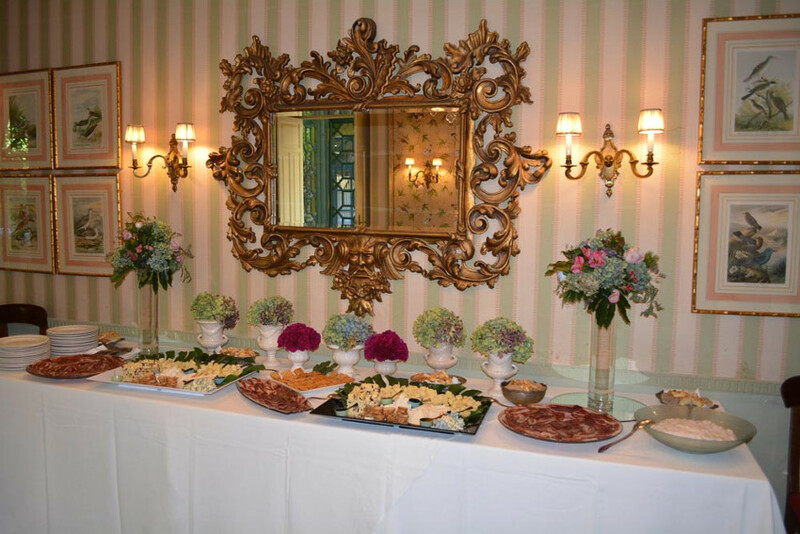 Companies and Institutions have had our cuisine, service and comfort. 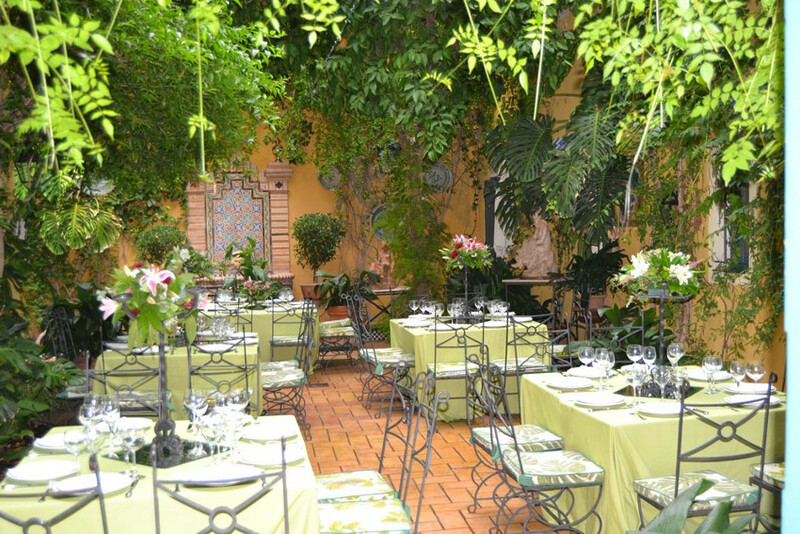 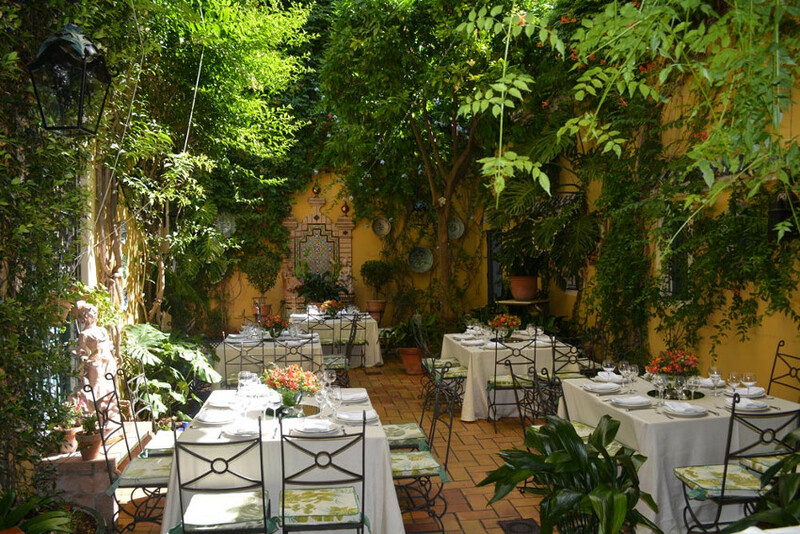 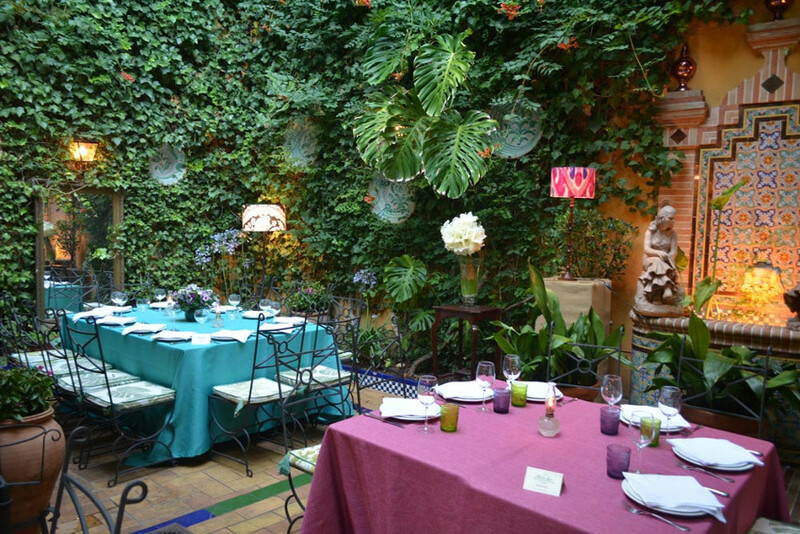 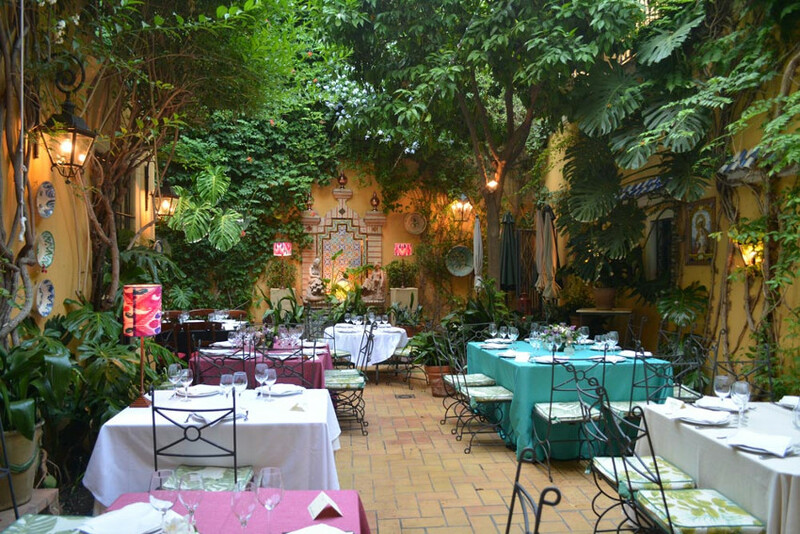 The Andalusian Patio of Casa Manolo León is characterized by its lush vegetation and colorful environment. 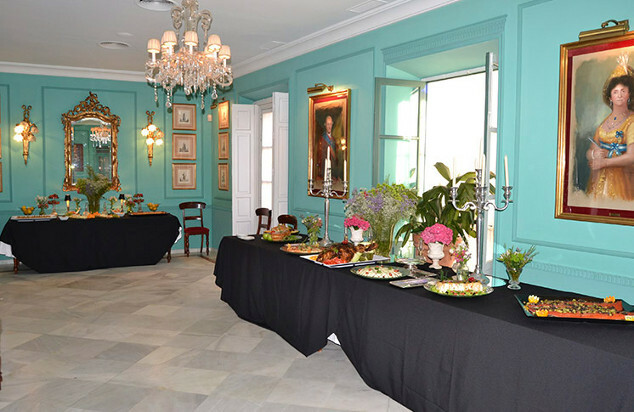 The different assemblies, tablecloths and floral decorations are adapted to the type of event. 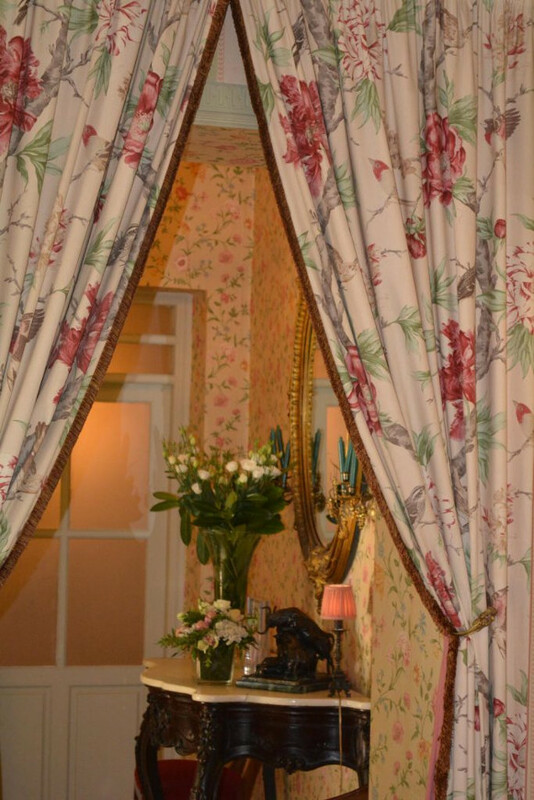 Ideal on bright days and quiet nights with the smell of lady at night, accompanied by candles and indirect lights, and lampshades. 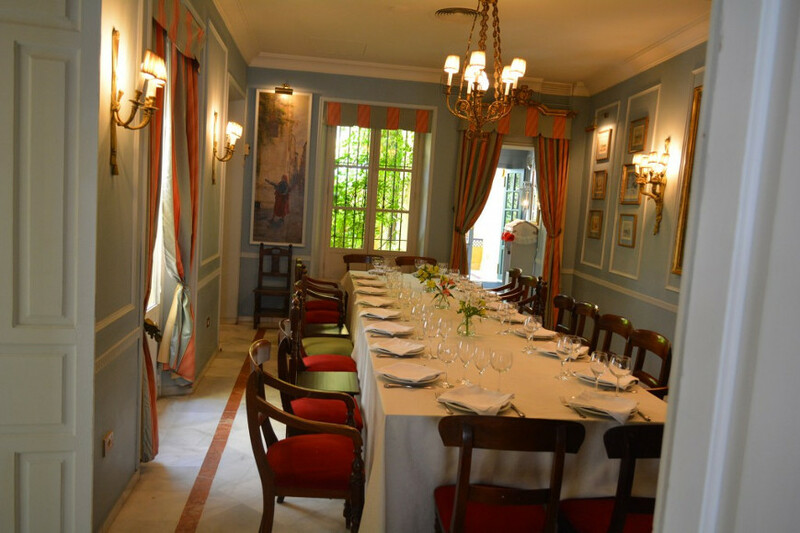 It has a capacity of 60 seated diners or 90 to 100 cocktail type. 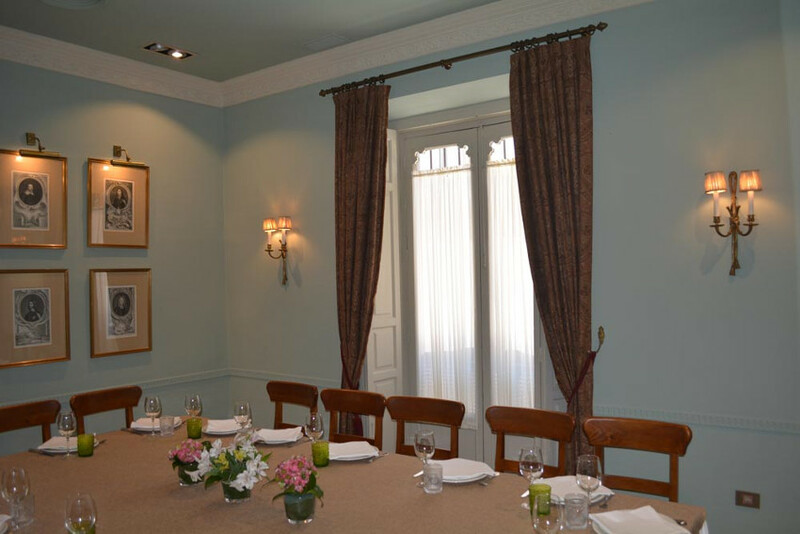 Decorated with English prints, it is a very cozy lounge with window overlooking the street, usually used for groups that want an imperial table, of less than 18 diners. 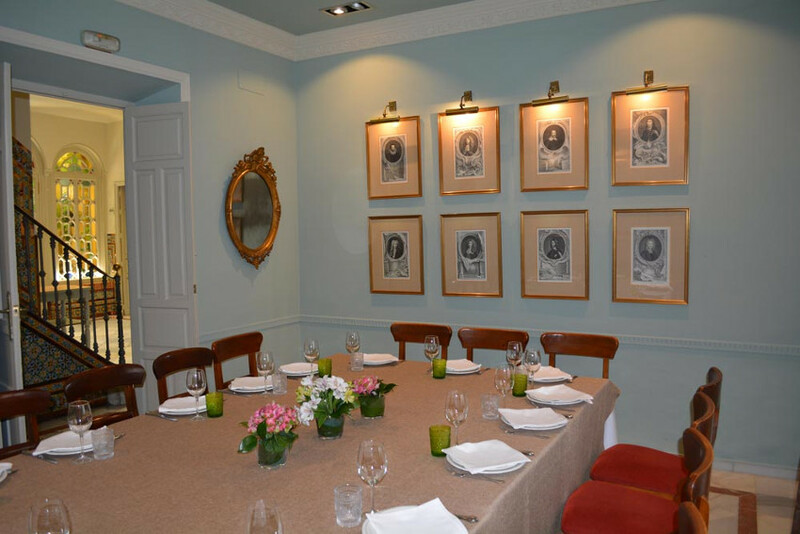 Fresh decoration of vegetal and animal iconography. 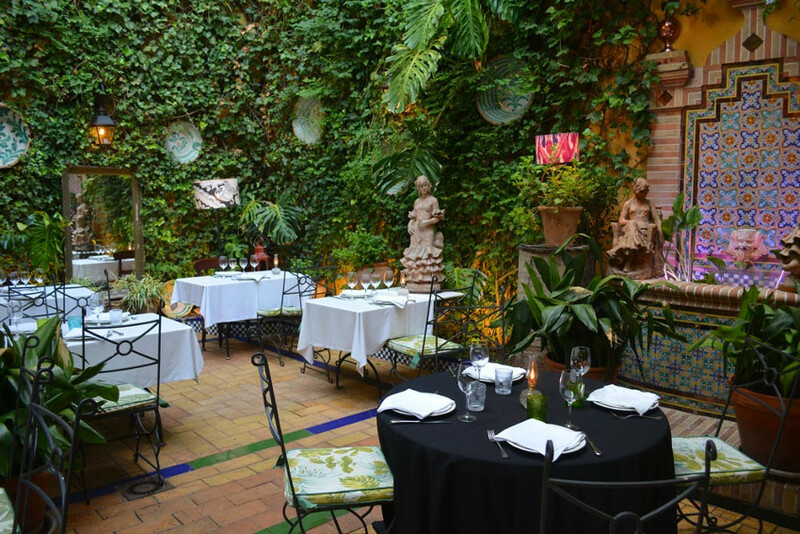 It is a living room attached to the main patio, located on the ground floor with window overlooking the patio. 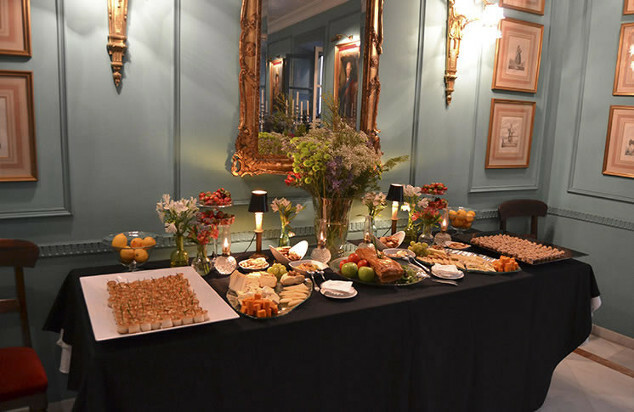 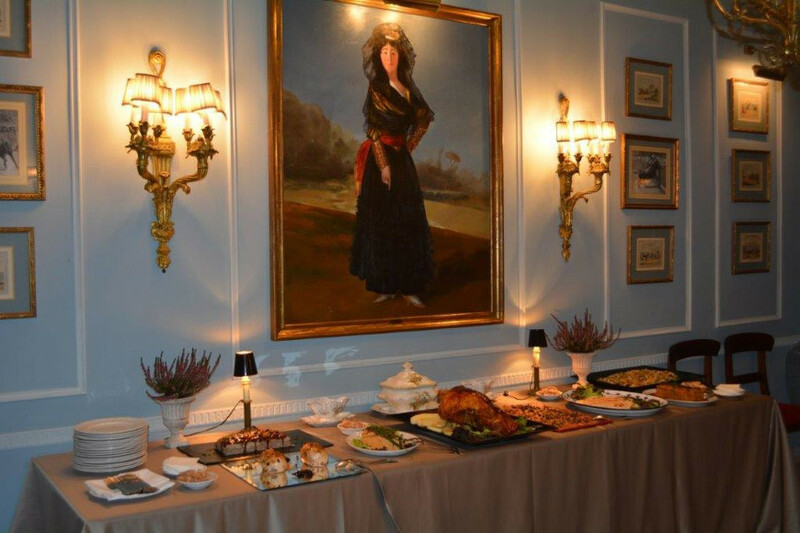 Enabled for events with 3 tables of 10 diners, or cocktail buffet for 20 or 25 diners. 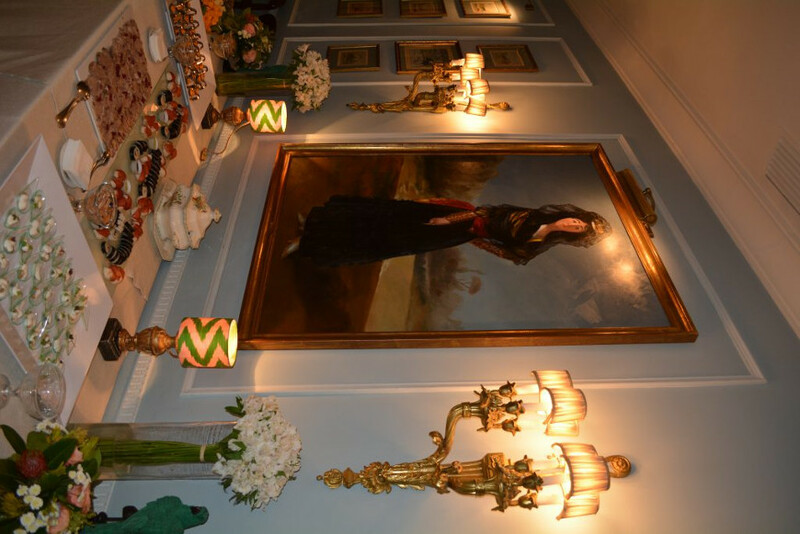 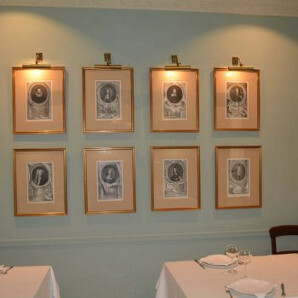 The Lounge is decorated in green tones with a collection of lithographs and botanical oils. 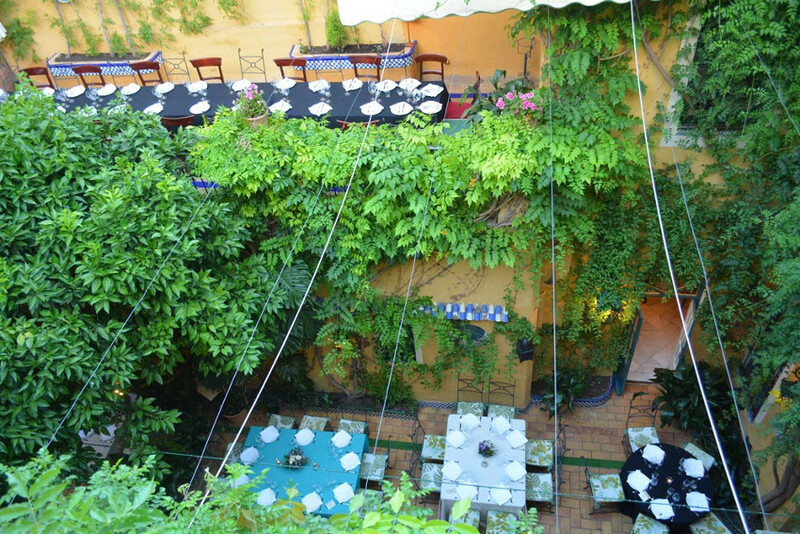 It has three balconies on the street and a private bathroom. 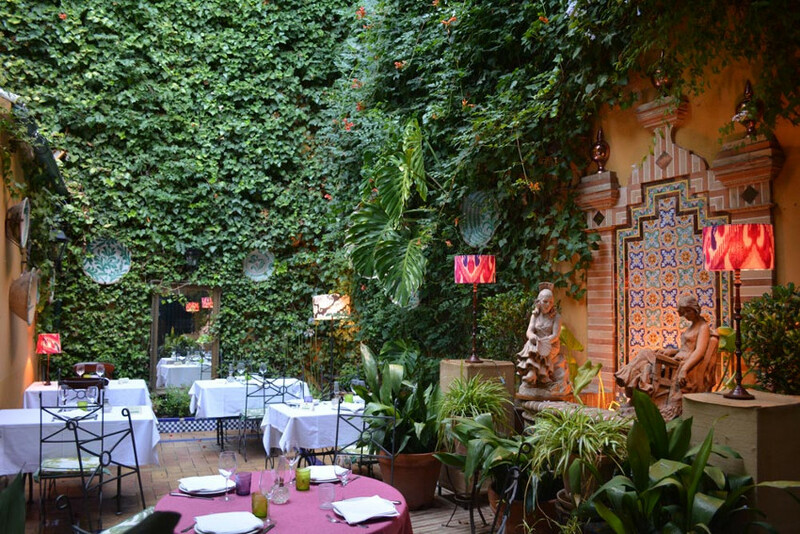 The Balconies Lounge, together with the Lounge Goyaesque and the Pergola Terrace, can accommodate up to 100 cocktail-type diners or about 85 seated diners. 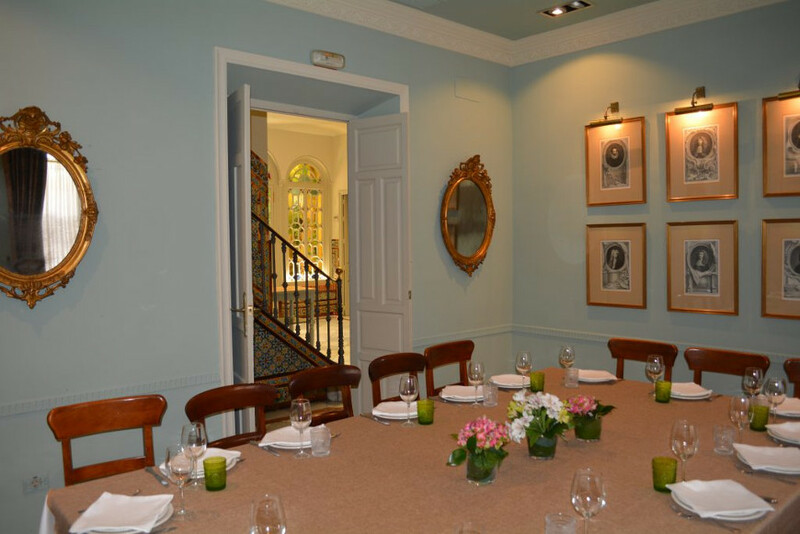 Maximum capacity of 43 people. 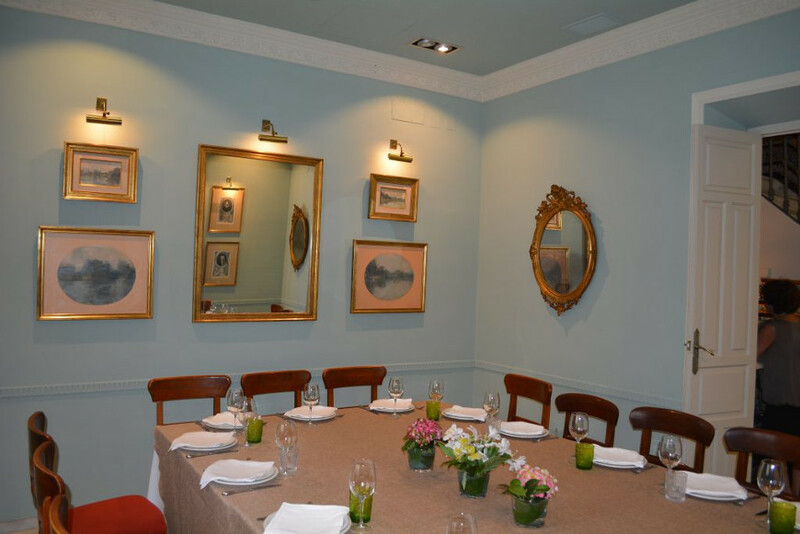 The recommended assembly is 2 tables up to 18 diners or 4 tables of 10 or 11. 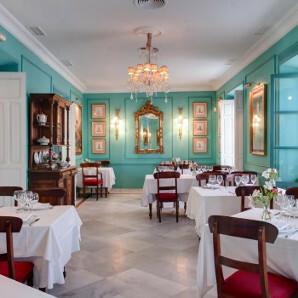 Cocktail ideal for 35 to 45 diners. 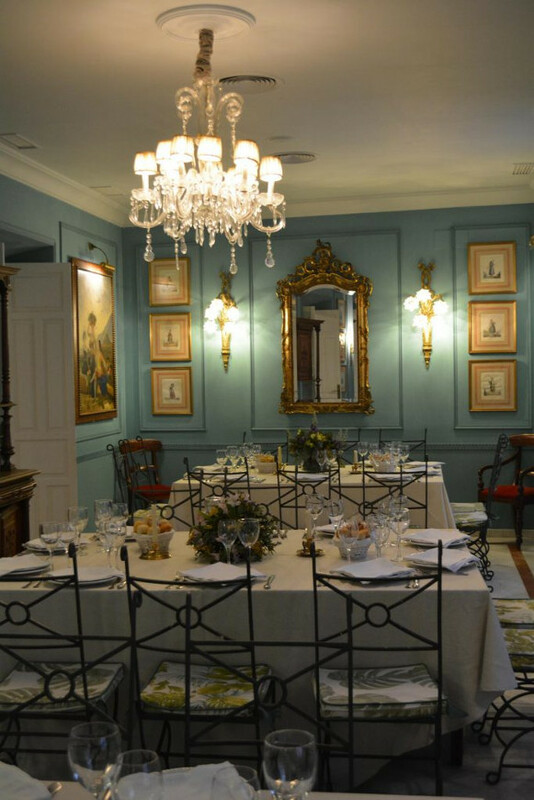 A Goyaesque inspiration lounge in gray and light blue shades. 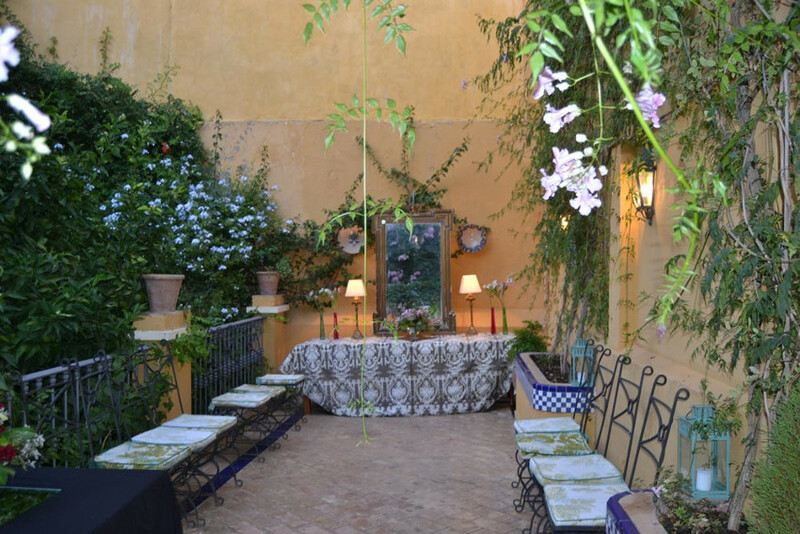 It is a living room with direct access to the Pergola Terrace and with window to the main patio. 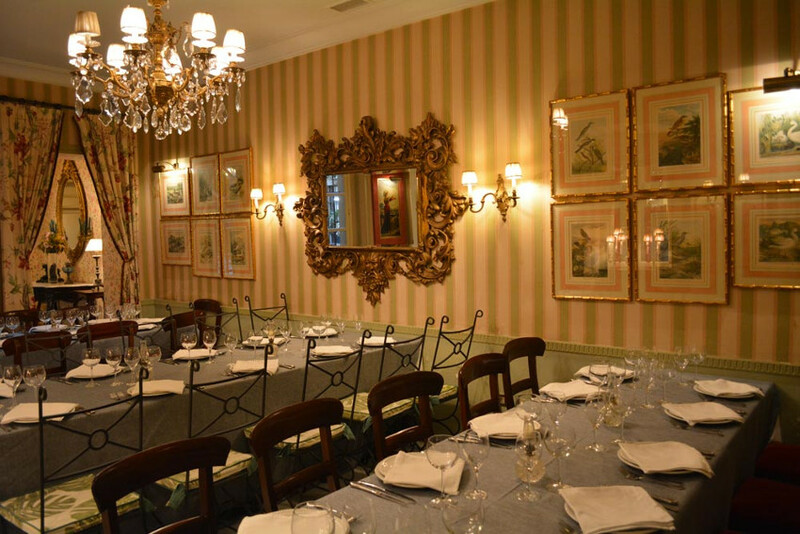 Usually for imperial table with center mount or 2 tables of 12 diners. 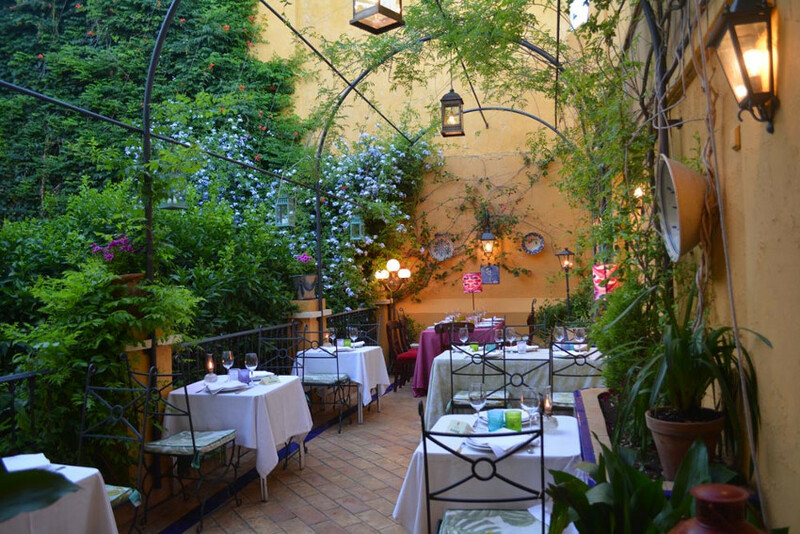 The cocktail type is for 25 diners or up to 45 if the room is joined to the Summer Terrace. 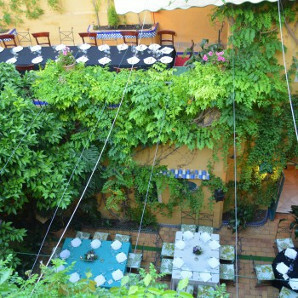 It has a pergola with leafy vegetation where the creepers climb. 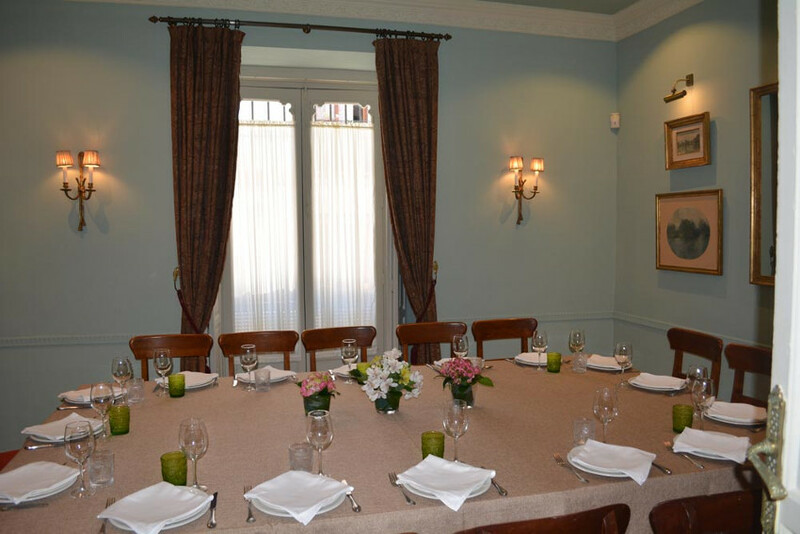 It is ideal for private events of no more than 30 people, either seated or cocktail type. 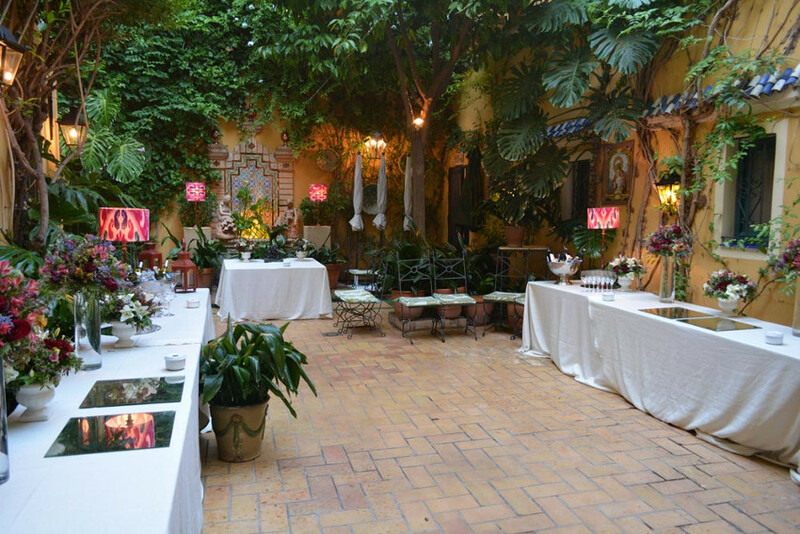 This terrace is usually joined with the Goyaesque Lounge for a single event and thus accommodate about 45 guests, enjoying the comfort of being indoors and outdoors. 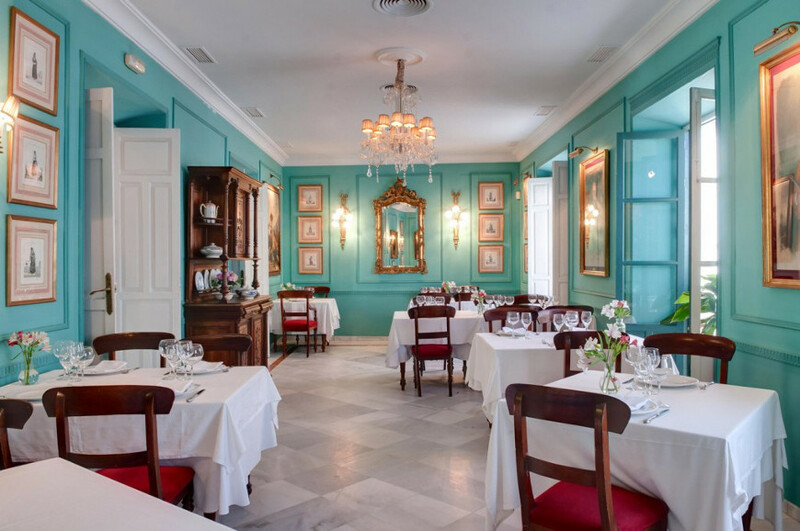 If you have any doubts or need to book a table in Guadalquivir, please fill out the following form and we will answer you as soon as possible. 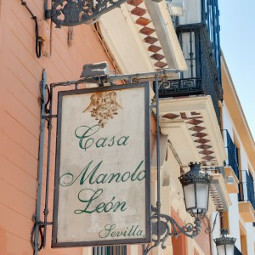 The brand Manolo León started in Matalascañas, a seaside resort which belongs to the town of Almonte (Huelva) , in the year 1986. 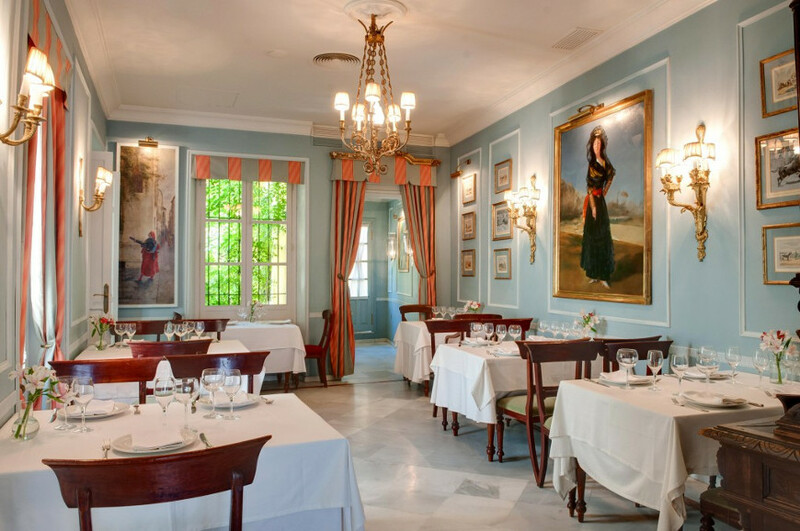 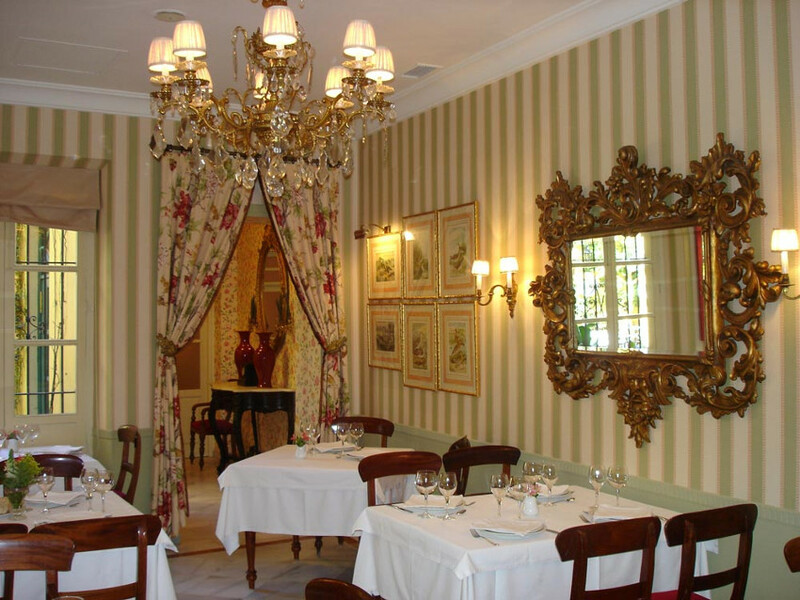 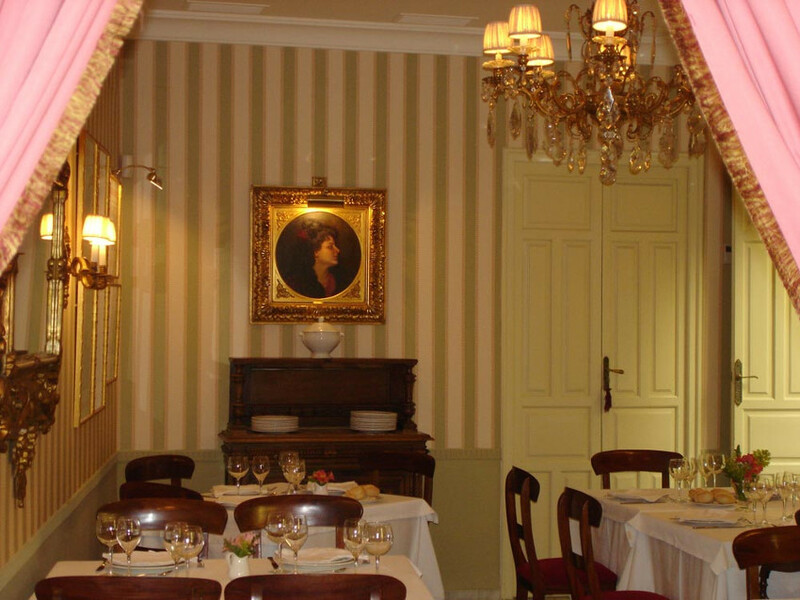 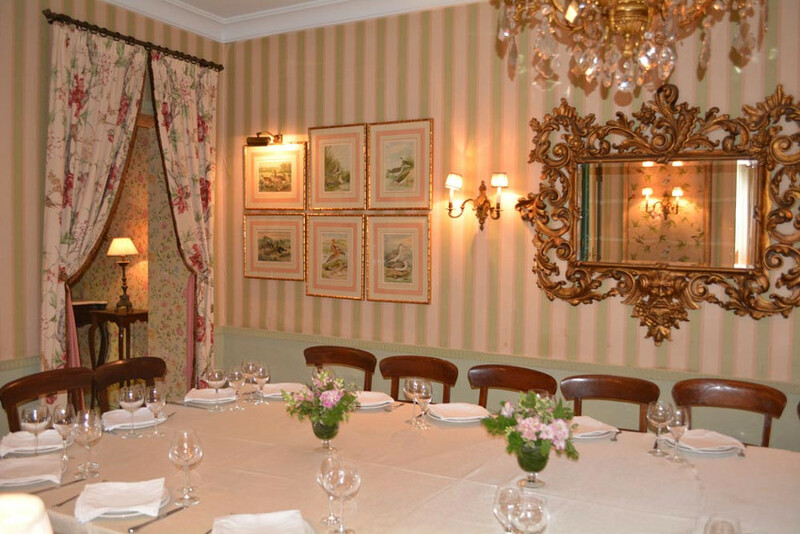 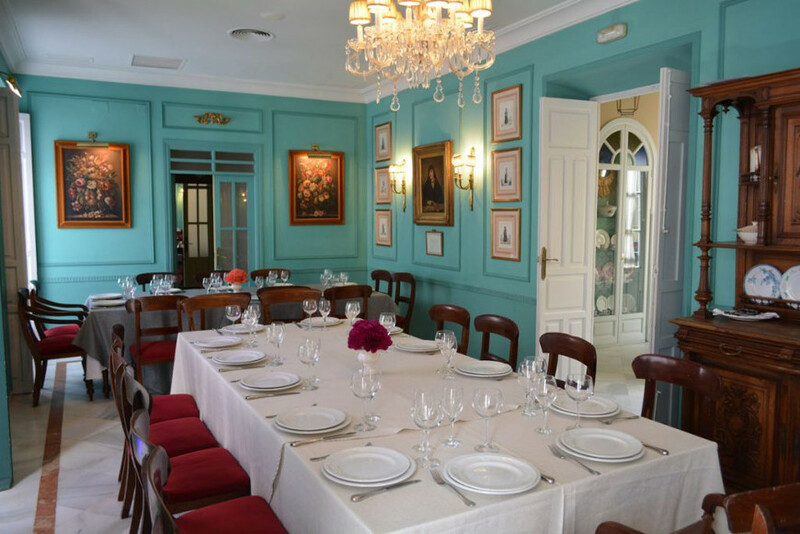 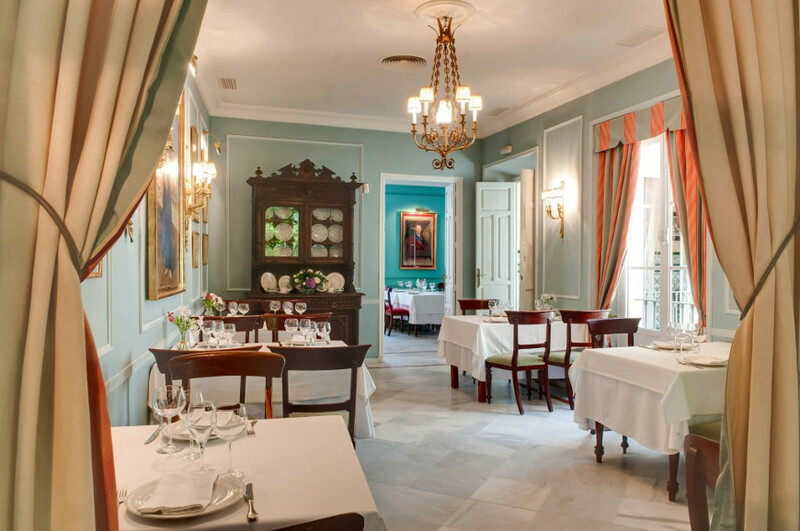 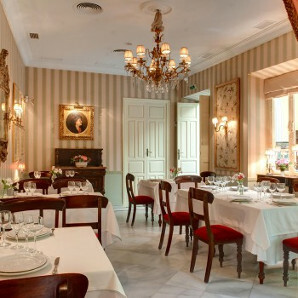 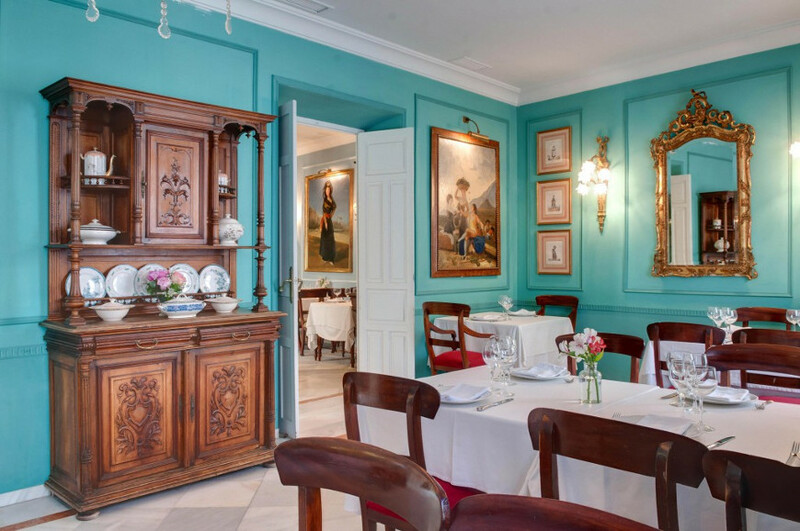 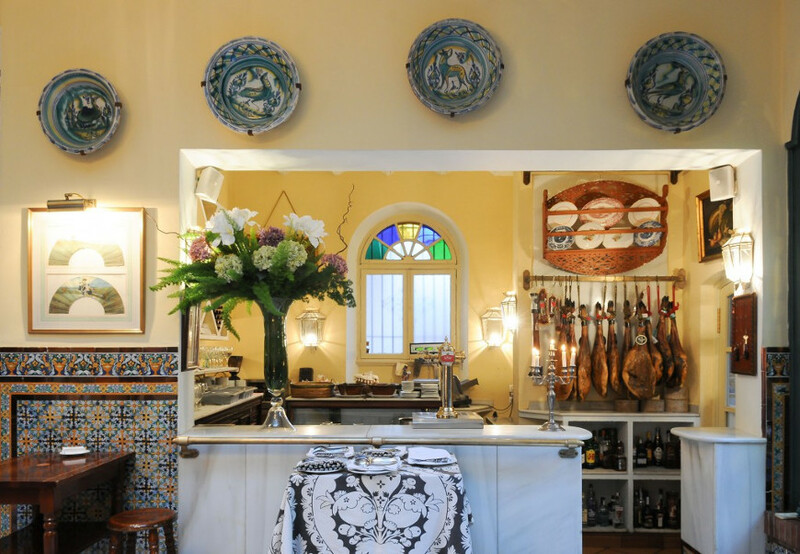 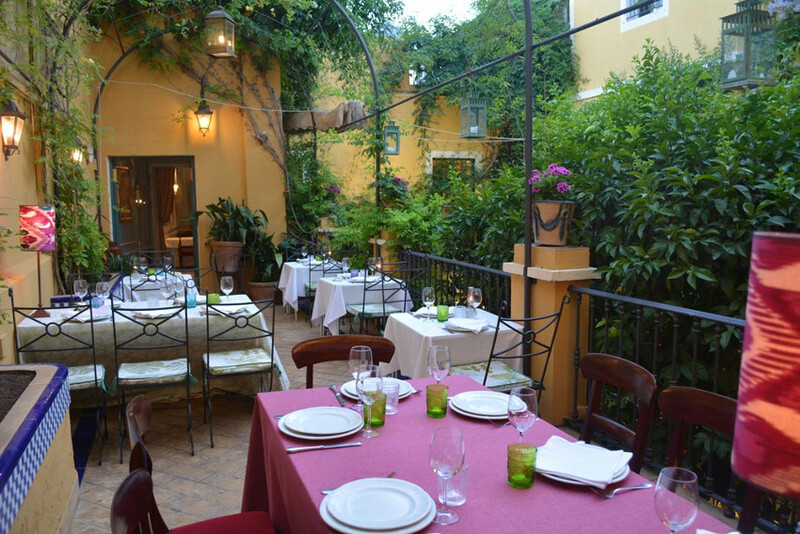 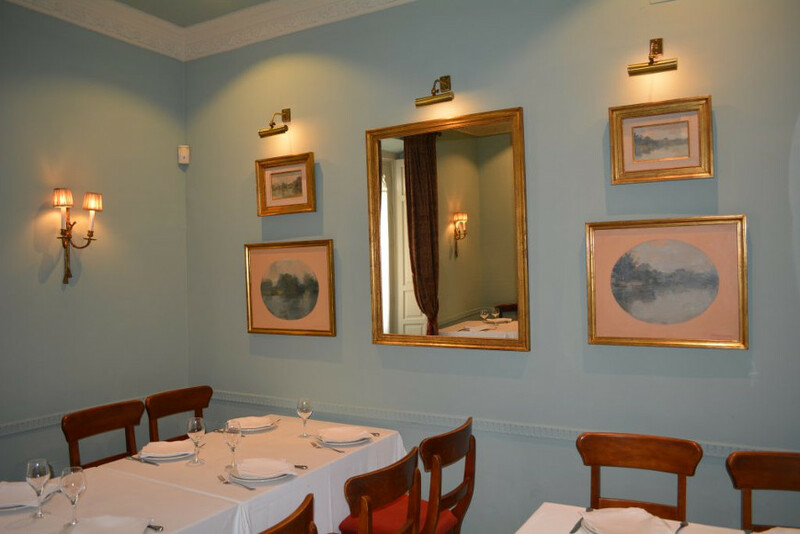 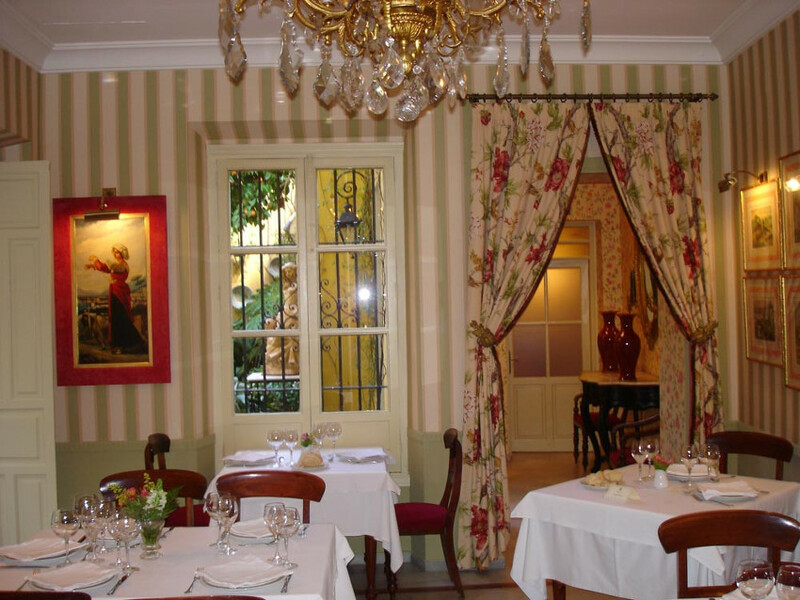 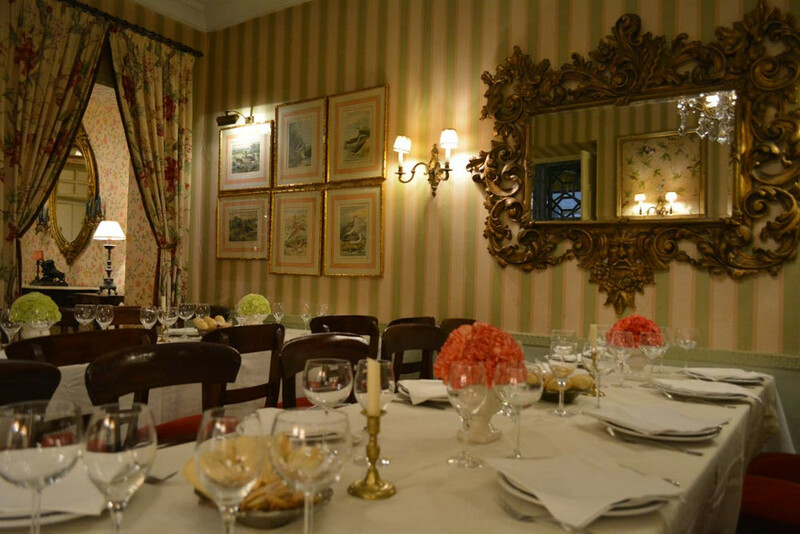 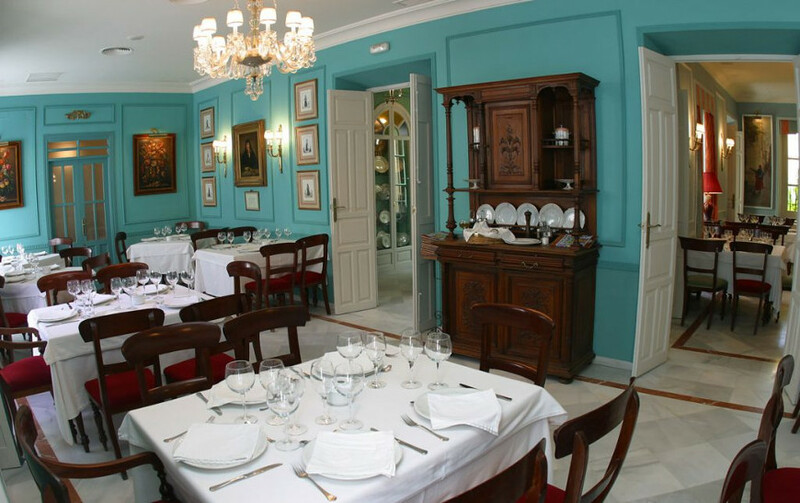 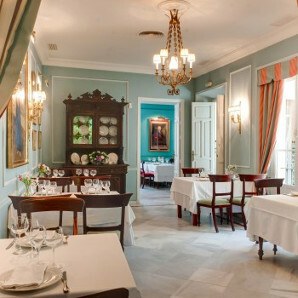 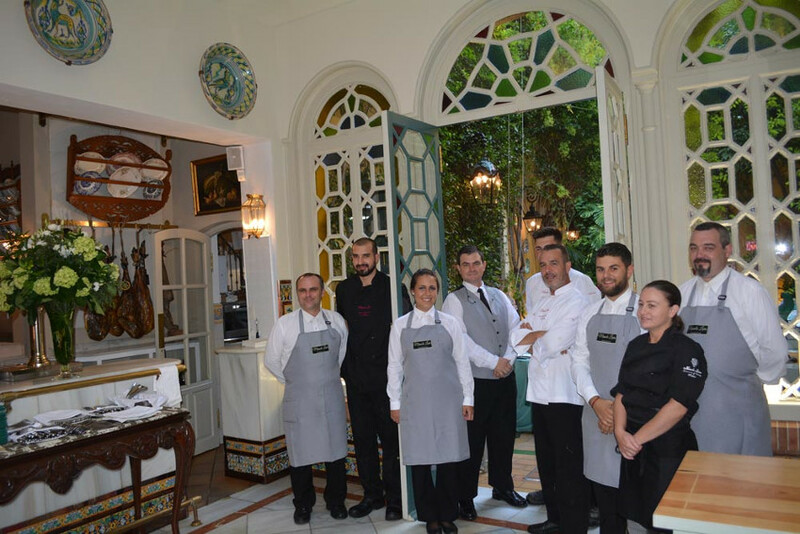 Nowadays, the brand Manolo León has two restaurants in Seville, as well as a catering service.